Make that special person in your life smile today with our Ruby Rose Bouquet. 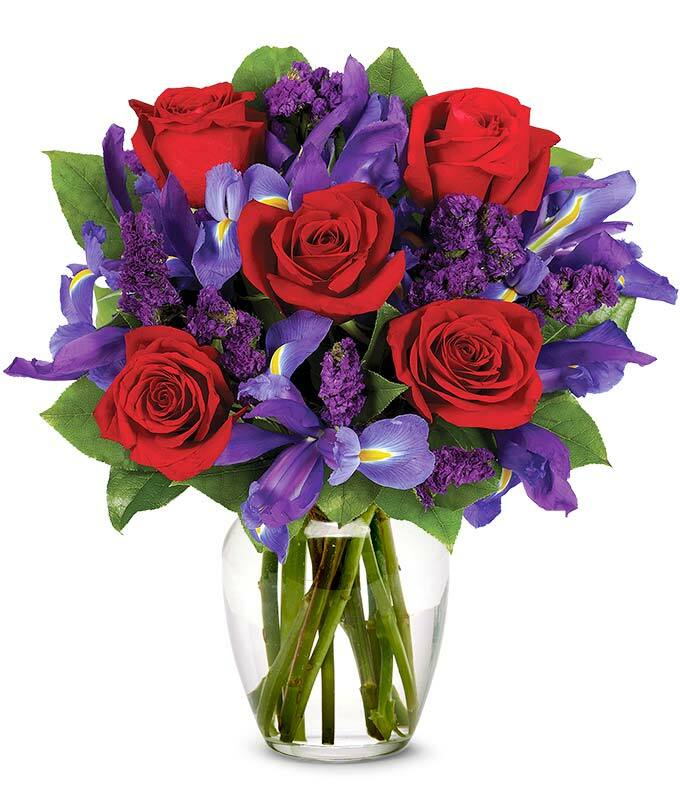 This lovely floral arrangement features classic red roses as they are met with the perfect contrast of purple and blue hues. This unique arrangement creates the picturesque pop you're looking for! Make your love for someone special known today by sending this awesome bouquet!